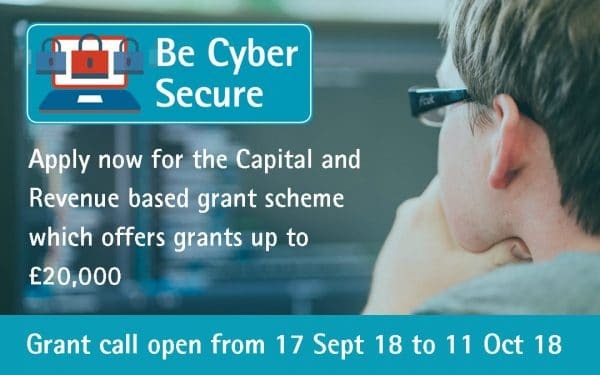 The Be Cyber Secure Grant Fund is a Capital and Revenue based grant scheme which offers grants up to £20,000. The Be Cyber Secure Programme is supported with funding from the European Regional Development Fund, the Worcestershire County Council and the local District Councils. Both cyber security and cyber growth grants can support both capital and revenue projects. Examples of activities the grant programme will support are below. For full eligibility details, refer to the attached documents. Step 2 – Full applications will be competitively appraised based on the project, and its overall impact.